The four 6- and 7-year-old horses featured in the clinic are living proof that development and training don't happen on a strict timeline; each horse is an individual and will progress at different rates and react to stressful situations differently. Despite being more or less the same age, they ranged from First to Third Level, and all but one showed varying degrees of stage fright in the large venue. However they all demonstrated superb quality and excellent potential for the future. Recognizing that no two horses progress at the same pace, Charlotte still has a basic set of expectations for her own horses at this age; shoulder in, travers and half pass should now be well-established and she likes to introduce the single flying change between age 5 and 6. "There's no hurry to get the change in but it shouldn't be a big deal for most horses this age. 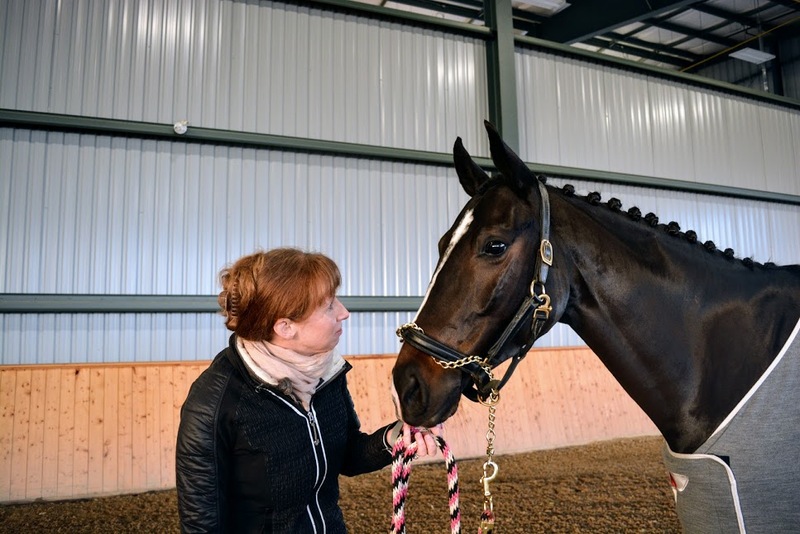 If you have trained a good collected canter, it's not difficult to teach a good flying change," she said. Lateral work is particularly important at this stage to develop suppleness and strength. This big, impressive-looking gelding captured everyone's attention the minute he walked into the ring. 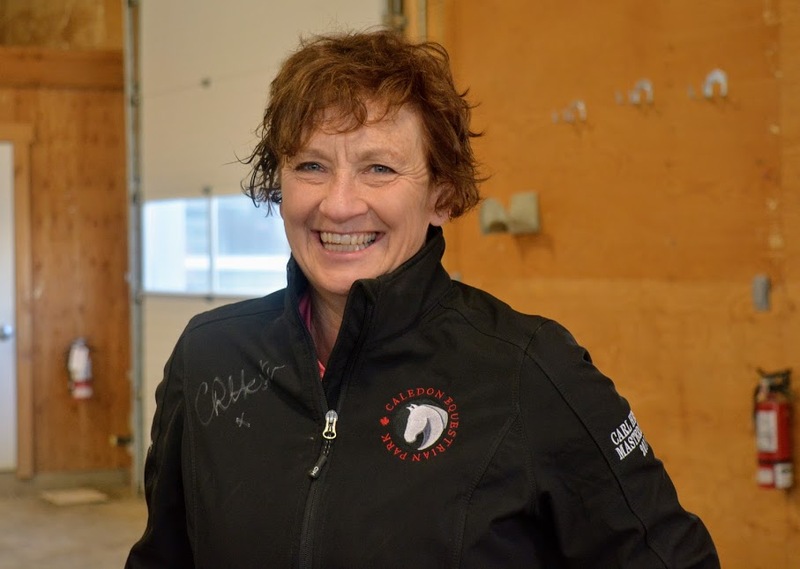 Charlotte cautioned that with a horse that naturally has such big movement, you want to encourage it to move smaller and in a more easy way, to reduce wear and tear and preserve the horse for the long run. "My goal with every horse is always the Grand Prix. I don't care about winning young horse classes or at the lower levels; the horse has got to last if it's going to be successful at Grand Prix." - Use lots of serpentines, circles and changes of direction with a nervous horse to keep it guessing a little, keep its mind off the scary situation. - Shoulder in and travers on a circle are excellent to build suppleness on the stiffer side and make the horse more even from right to left. - Horse has a high quality canter, up and out with a lovely use of the shoulder and very active hind leg. A round and active canter like this indicates horse will have a good flying change and pirouette down the road. - Horse is clearly nervous but keeps trying, never says no. Keeping this horse going is never going to be a problem. - An experienced rider like Jaimey is exactly what this horse needs; he can gain confidence from the confidence of his rider. Inexperienced rider on an inexperienced horse is not a good combination. - Use lateral work to occupy the horse's mind and keep her from spooking. - Do shoulder-in away from the wall to test if horse is drifting or not. Leah is doing it very well but lots of people cheat by pushing the quarters out, rather than bringing the shoulders in. - Then try moving between shoulder in and renvers on the same line by changing the flexion. - Travers is the best exercise for suppling as it bends the inside while stretching the outside of the horse's body. When the mare resists bending on her stiffer side, just keep correcting and riding through it. - Half pass is simply travers on a diagonal line. Ideally it should be parallel but not when teaching a young horse. Make it easier at first for them to succeed by allowing the it to trail slightly. -As horse gets stronger over time work on making half pass more parallel without allowing the rhythm or contact to change. - Set up the half pass correctly in the corner before. If you ride a bad corner you will ride a bad movement. - Keep the poll up; you should be able to see the top piece of the bridle. -Make little corrections when she drops down to keep the neck up and open. - Rider needs stronger seat and stronger core to sit up and back more - tendency is to tip forward from the hip somewhat. - Increase difficulty by starting in leg yield from centre line towards wall, then switch to half pass. - By age 7 horses should be working on the pirouette. Start with a 15m circle in shoulder in, followed by a 15m circle in travers, then spiral the circle in towards more of a pirouette feeling. - This horse shows ability to sit and hind leg does not get slower, keeps a good jump in the canter. Will be capable of a good pirouette. 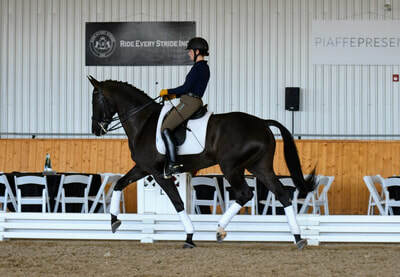 - Another pirouette prep exercise is to gradually collect the canter more and more with smaller steps until almost cantering on the spot, then forward again for several strides. - Think walk with your hands and canter with your legs. If horse doesn't stay in front of the leg in the collected steps go forward into medium canter right away, or even a good gallop. - At this stage the horse is more balanced and can be kept together with the seat and legs, not the hands. - Begin with canter work to activate this horse - he's a little sluggish by nature. - To prepare for flying change work, begin with travers down the long side. - Some horses just put the hip in without truly bending. Make sure you are really achieving a stretch through the outside of the horse's body. - Be brave and forward in the tempi changes. Cover more ground, make the change happen higher off the ground. - Do the changes on the wall to help the horse stay straight. If horse jumps to the right in the change, think leg yield a little to left. - Need to ride the actual canter as bravely and forward as the changes. Changes are bigger than the regular canter. - In the trot work this is the stage where you can really start to add suspension. - Horse can keep the suspension on straight lines currently but struggles in the lateral work. Keep the angle of the shoulder in and travers more shallow to make it easier for horse to maintain suspension. - "That's your trot!" after the medium trot, Janine found a new gear for this horse with much more energy, activity and expression, sitting more and truly pushing from behind. That's it for now. 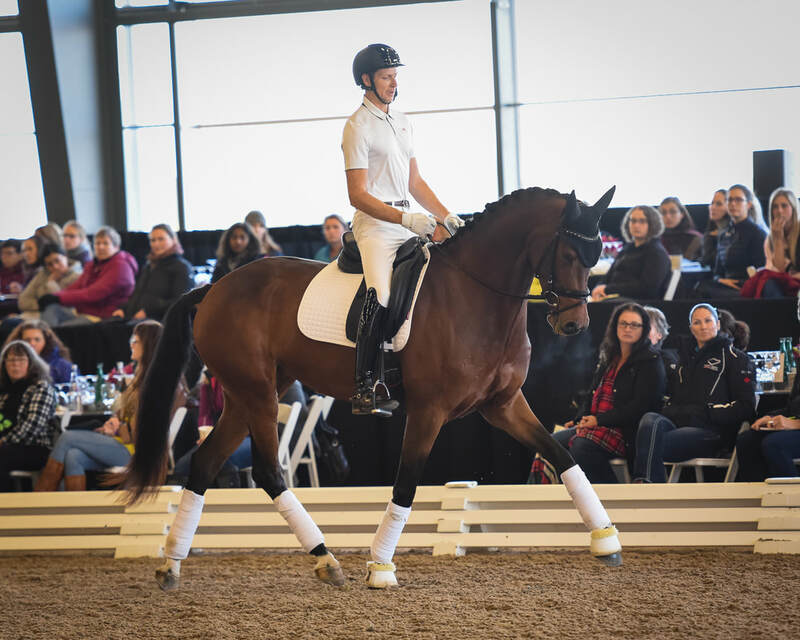 Come back tomorrow for a recap of the four FEI level sessions! 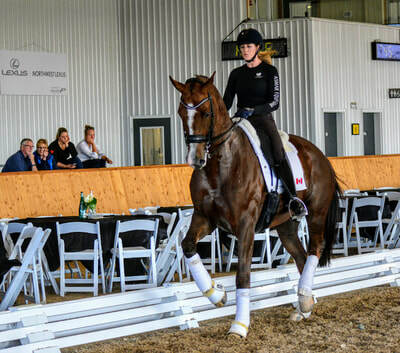 So apparently there are people out there who not only want me to write a recap of the Charlotte Dujardin masterclass at Caledon Equestrian Park this weekend, but are actually waiting for me to do so! That's very flattering and I hate to disappoint, so will get right to it with no futher ado. Was it the same as last time? No. While the clinic followed the same format as Charlotte's 2016 masterclass and the Carl Hester one last year, there was a completely different group of horses, and therefore was a completely different learning experience. Instead of recapping each day, this time I'd like to break it down by level. It was interesting to compare the differences and similarities between the horses each day. Let's begin with the babies who were featured in the first session of each day. Charlotte prefers to buy young horses around the age of two and start their training herself. She looks for correct and easy - but not necessarily spectacular - gaits. 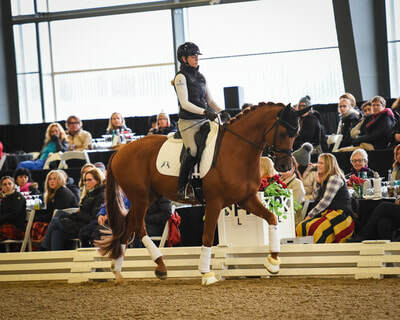 Although big gaits are becoming increasingly prevalent in the young horse classes, that extravagant expression is something she prefers to develop over time with training, saying that working in a huge trot at a young age will increase the wear and tear on a horse over the long term. She avoids the young horses who already walk for a 9 or 10, knowing that enormous walk will be difficult to collect later on. A 7.5 is her ideal walk at this stage. By the time they reach age 4, like the horses featured in the clinic, Charlotte expects them to go forward from the leg, maintain straightness, steady contact and a steady rhythm. She keeps their training periods short - 20 minutes at most. Maintaining balance of the young horse is the rider's job and they have to be brave, allowing them to go forward without restricting them. Horses have their whole lives to be collected. Allow young horses the freedom to make mistakes, then correct the mistakes. That's where the learning happens. With three out of the four youngsters featured this weekend, Charlotte wanted to see the riders work towards a more uphill outline with consistency in the contact, without sacrificing the energy, activity and rhythm. The fourth horse - a lovely mare ridden by Neil McIntosh - was a bit the opposite. She wanted this hotter and more sensitive mare to show more relaxation, slow down the tempo and reach forward more to the contact. - Don't expect to see a 4yo in a Grand Prix outline but would like to see her a little more balanced uphill and less over the front end. - Keep lifting the next sightly without disturbing the nice, easy rhythm. - Think more forward and active but not faster. - Make her work hard to carry herself more uphill, then reward that work with a stretch break. - In the canter when the weight is rocked back a little more on the hind end, the whole quality of the gait changes. Mare has a lovely, super canter when balanced correctly. - Transitions from canter to trot are still difficult for her at this stage. Until she can shorten the canter stride in balance the transition to trot won't be balanced. - Keep the leg on. Tendency is to keep the leg away from a hot horse but we need to do the opposite. - Horse tends to slow slightly when Neil asks her to bend - indicates he is using the hand without enough leg aid to back it up, a common mistake on a sensitive horse. - Maintain one single steady rhythm - no speeding up or slowing down. - Lots of walk/trot transitions (good ones, on the aids and straight!) are really beneficial for this horse. - Horse will have a really impressive trot in a few years. - Keep testing the contact in the canter. Can you give without the balance and rhythm changing? - Don't be a passenger you have to be the pilot. - Canter is easier for this horse right now so go with it. Train the canter work first, then work on the trot once the horse is looser and happier. - Horse likes to be a bit long and flat in his outline - working on long straight lines only encourages this more. Use lots of circles, serpentines and changes of direction while really asking the horse to bend and carry himself more uphill. - It's easy for him to stretch long and low so he's happier there. Use that as a reward after harder work in a more uphill balance. - Work uphill for a bit, then stretch for a bit. Rinse, repeat. - Horse has a lovely looking, big trot with nice swing to the movement but isn't actually swinging through the body. 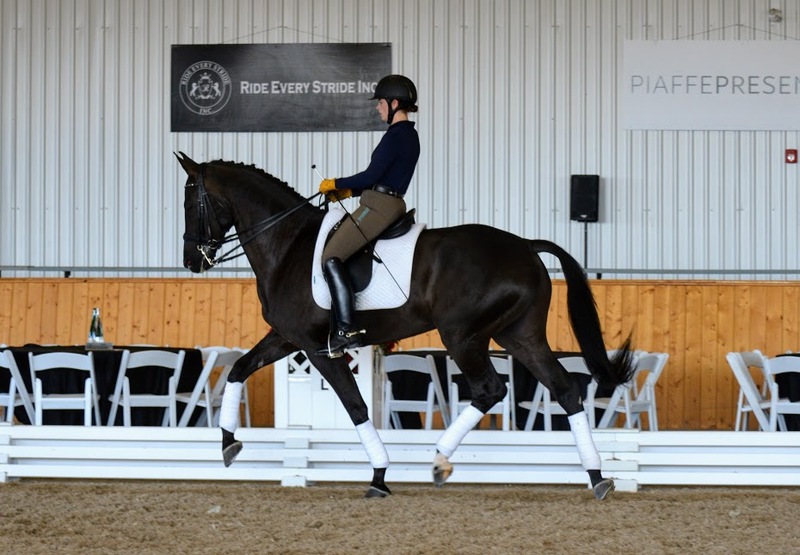 - Increase suppleness and encourage the legs and body to work together with walk/trot transitions. Lots of them. -Horse keeps hind end underneath himself very well - sign he will have a great piaffe later. - Leg yield is the first lateral movement for the young horse. Set horse up for success by starting as if on a diagonal line, then add the sideways. - Will really highlight which side is the horses' stiff side - tend to over bend in one direction and not at all in the other direction. - Horse has to go sideways from the leg, not from the inside rein. Pulling the inside rein results in horse falling out through the outside shoulder. - Working with young horses takes patience and perseverance. You can't try to fix everything in one day. Bit by bit work on making them more uphill, more together, softer, more supple. - After working through the resistance, by the end Alex was able to demonstrate a lovely stretch trot and canter with the horse swinging nicely through his back and body. There's so much more to cover but I have a 9am lesson tomorrow and a full day of work and chauffeuring kids around, so it's off to bed for me! Stay tuned for the next installment, featuring the 6 and 7-year old horses. If there's one thing I know about the internet, it's that people will get offended over anything. And apparently I ruffled a few feathers by using the phrase "just riding' in my previous post. Let me be perfectly clear. There is absolutely nothing wrong with just riding if that's what you want to do. But there is a difference between just riding and dressage. If all you want to do is brush your horse and feed it carrots, that's a-ok too. 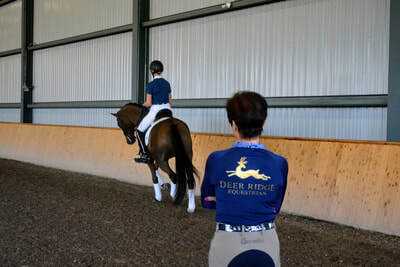 But if you WANT to do dressage and you're struggling to enjoy your rides, get help from a skilled pro. If you WANT to get to FEI Levels, but have never ridden or trained a horse past First Level, please get help from a skilled pro. If you WANT to progress up the levels but can't seem to get past Training Level after years of trying, for goodness sake, get help from a skilled pro. Now that we've cleared that issue up, what should you look for in a pro? Like most people, I tend to use the terms "coach" and "trainer" interchangeably. Everyone's needs are different but most struggling riders will get the greatest benefit from working with someone skilled at both riding / training the horse themselves and teaching us how to ride / train the horse. I talked to a number of different riders, trainers, coaches and students to come up with this list. Some (like #1) might seem obvious, but you'd be surprised by how many people call themselves a "dressage trainer" despite having little to no dressage experience at all. The list is by no means definitive; feel free to add your own suggestions in the comments below! 1. Understand the difference between a riding instructor and a dressage trainer. There are lots of talented instructors out there but before promoting themselves as a trainer who specializes in dressage, someone should have successfully TRAINED multiple horses THEMSELVES up the levels. To what level will depend somewhat on your own goals, but most of the people I've talked to agree that Third Level is a reasonable minimum standard. 2. The horses they train and the riders they teach should consistently move up the levels. The easiest way to verify progress is through show scores and most recognized shows will list the trainer on the results sheet, if you want to do a little anonymous Google research first. However, a reputable trainer should have no problem sharing verifiable results with potential clients. Showing isn’t everything and there are obviously many good coaches who don’t compete, for a variety of reasons. 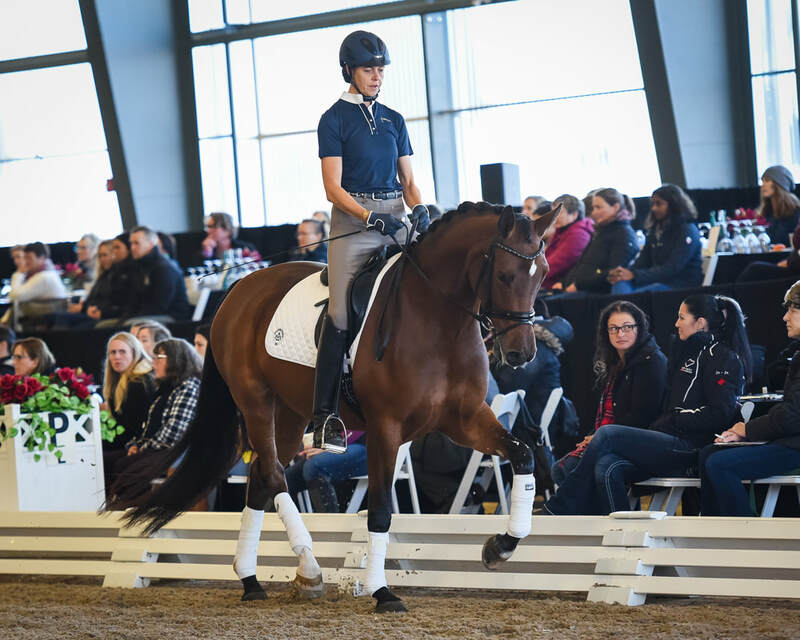 Without competition results, however, it’s tough to verify someone’s claim of training multiple horses to FEI levels, or to identify a clear and consistent pattern of students progressing up the levels. 3. Choose someone whose experience matches your goals. 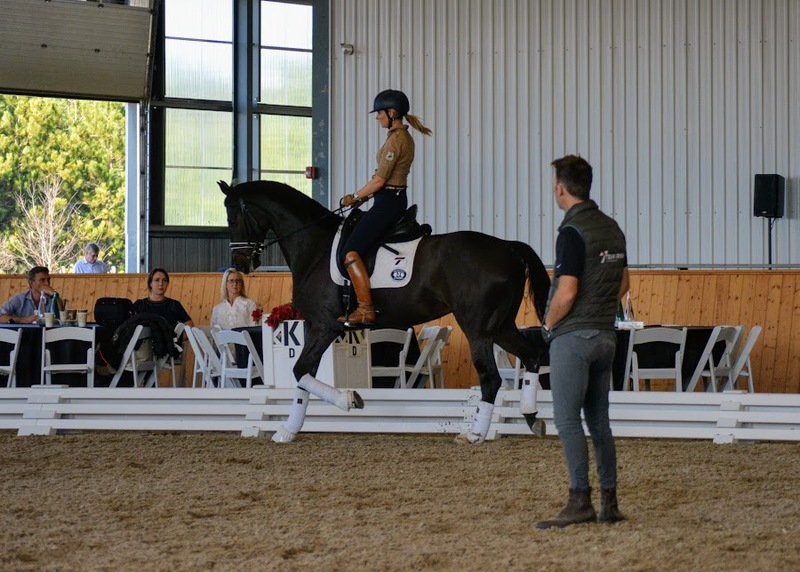 If your goal is Grand Prix, it doesn't make sense to train with someone who has never ridden anything higher than a Third Level test, does it? 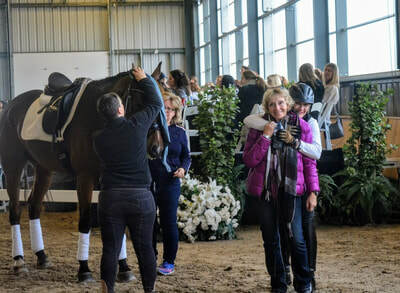 If your goal is to compete, then choose a trainer who is not only successful in the show ring themselves, but whose students are successful too. 4. Find a trainer whose training program and teaching approach are a good fit for you personally. 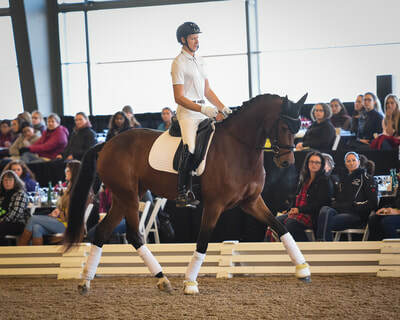 This is not a license to become an armchair expert and tell your coach which methods, exercises and gadgets they should be using, based on the latest training article or dressage forum thread you read! You're paying for their expertise and you need to trust in their methods. But their teaching schedule must work for your lifestyle. The care at their barn (if you are boarding and not just shipping in) must meet your standards. If you lack confidence or need a lot of positive reinforcement in order to learn well, a trainer with a "tough love" style of communicating may not be the ideal choice for you. 5. Choose someone who is committed to their own development as a rider and trainer. 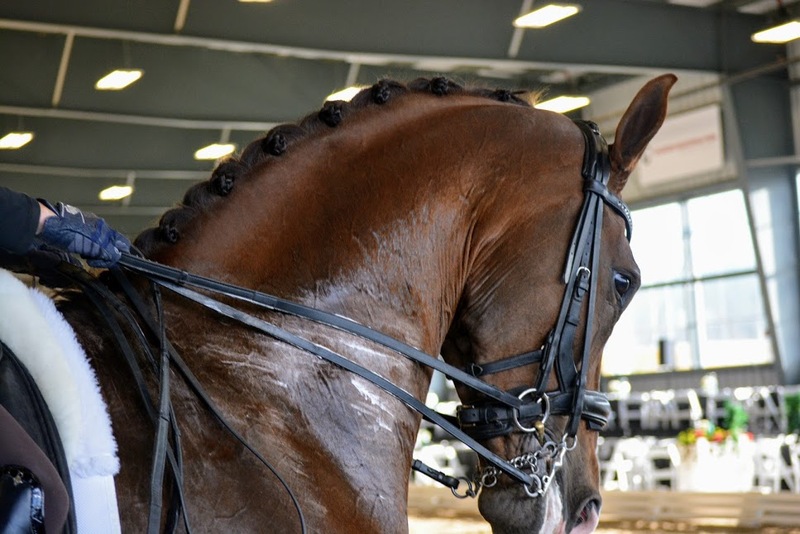 Dressage is a sport of life-long learning. A good pro recognizes that they benefit from skilled help as much as the rest of us and will regularly take lessons themselves, participate in clinics, and / or compete at shows. 6. Do your homework. Look up scores, and fact check any credentials, awards and accomplishments they claim to hold. Ask for references from past and current clients, and follow up with them. 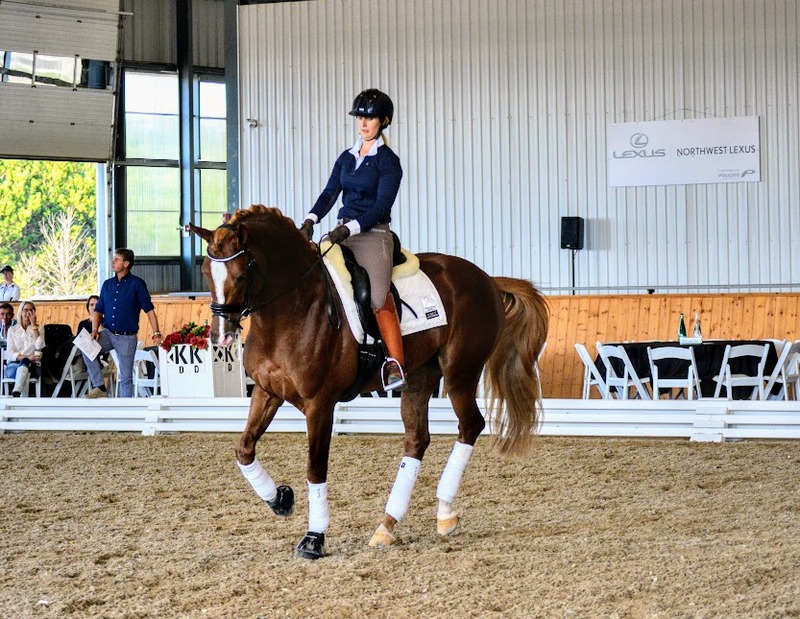 Are you doing dressage, or just riding? Gus and I have recently embarked on a new training journey. It seems many of you want to hear about the struggles and progress in my quest to someday move beyond First Level, so I will be sharing some of those ups and downs here, as well as launching a blog series about coaching and training in general. What's the difference between the two? What do you look for in a good coach / trainer? Where and how do you find the right one for you? I'll explore those questions over the coming weeks, but first some general advice purely of my own inexpert opinion. A friend of mine recently asked my thoughts on whether her horse should be getting training rides from her coach. My short answer? Yes. 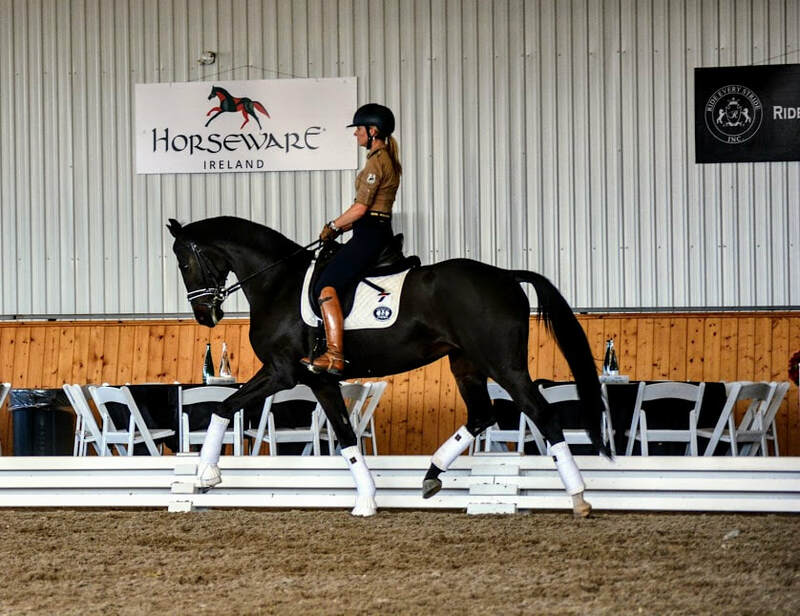 Not just specifically for this horse and rider, but for almost every aspiring dressage rider and their horse. 1. Are you a professional rider / trainer? 2. Do you have time to ride your horse 5-6 times per week? 3. 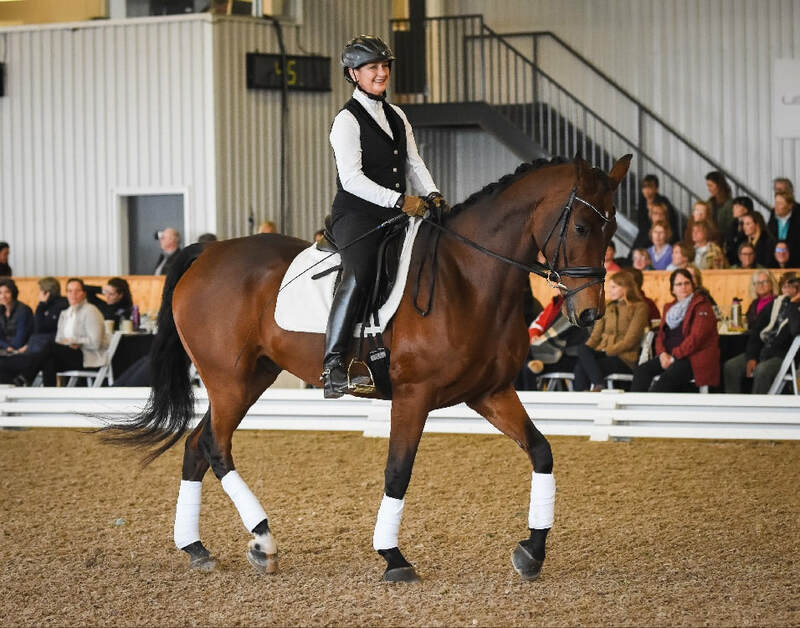 Do you have experience riding dressage horses at the level at which you ultimately want to compete? 4. Do you have experience training horses to the level at which you ultimately want to compete? 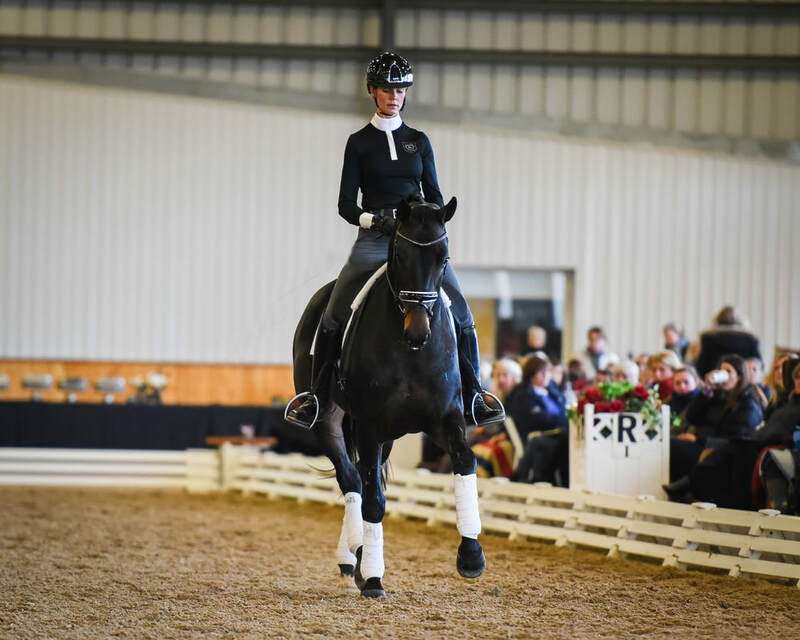 If you answered no to any of the questions above, then yes - pro training is essential if your goals are to progress, improve your horse and move up the levels in dressage. Whether you actually compete is not really relevant in my mind, although it's the best way to ensure that you truly are progressing. Dressage is training. 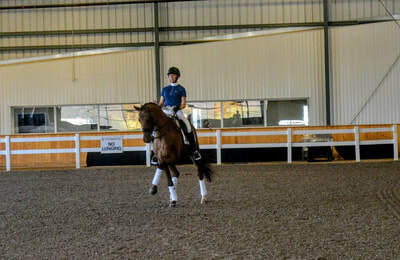 If you aren't improving and your horse isn't improving than you're not doing dressage; you're just riding. Getting regular help from a pro isn't admitting defeat, or cheating, or taking a short cut. Learning from experts is how we all improve. Even Olympic riders work regularly with their trainers. It's just common sense. If your goal is Third Level, for example, but you have no experience training a horse to that level and building in him the correct musculature, way of going, suppleness, strength, and self-carriage required to then teach him the movements of that level (which you also have no experience teaching a horse) then how can you reasonably expect to achieve your goal? And buying a horse trained to your goal level is unfortunately not a quick answer either, if you have no experience at that level, unless a skilled pro is also riding that horse and helping the rider learn. A Third Level horse can quickly become a Training Level horse in the hands of a Training Level rider with no outside help. It's simply a recipe for frustration. Carl Hester's most valuable piece of advice when he was in Toronto for a clinic last year was to invest in the training, not the horse. Buying an expensive horse and skipping the training won't get you as far as buying an ordinary, but capable, horse and spending your money where it counts - on the training. How much, how often and how intense that training program is will depend on your skill level, your available time, your budget (of course) and your goals. For some people, one pro ride a week in addition to lessons is enough. For others, the horse really needs three to five sessions a week with a pro. That's where Gus and I are at right now. My trainer works him 5 days a week, which may include any combination of lungeing, ring work, hill work and hacking. With my current work schedule I can usually only get to the barn three times a week. On those days we do a lesson with me riding once she has gotten him going, so I can get the idea of what correct feels like. So far it's working well and I'm delighted with the progress we've both made in just four weeks. 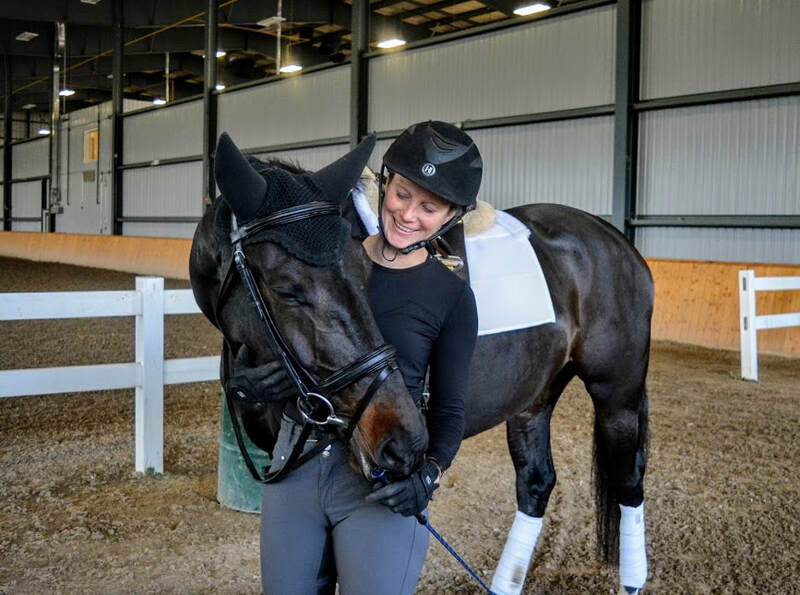 Stay tuned for more updates about our journey and my next post about what to look for in a dressage coach / trainer! 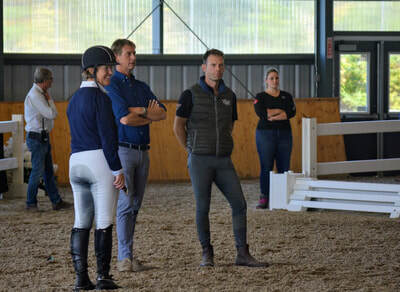 I posted a few behind the scenes pictures on Friday from the incredible masterclass with Carl Hester at the Caledon Equestrian Park. Here are a few more for your viewing pleasure! Carl Hester Day 2, part 2: Invest in the training! 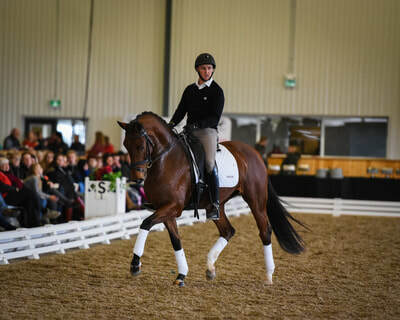 My first post about Day 2 of the Carl Hester masterclass covered the young horse sessions in the morning. Once of Carl's most valuable tips from the whole weekend came during this portion of the clinic. While discussing youngsters in general, he noted his preference for buying only "cheap" horses ("cheap" to Carl is under 10,000 pounds). He noted that any young horse is a bit of a risk; spectacular gaits and conformation at 3 or 4 are still no guarantee of success at Grand Prix. Carl's advice: invest in the training. That's where you get your money's worth. That wisdom applies to every rider and every horse, particularly us amateurs who juggle riding time around the demands of jobs, families and other commitments. My advice? Take Carl's advice. Work with a good trainer consistently, both in lessons and with the trainer riding your horse, and do it as often as you can afford. Back to the clinic recap! 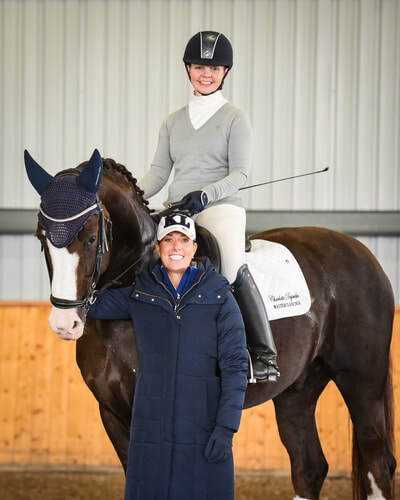 Carl's student Rebecca - one of Great Britain's top young riders - gave a demonstration ride on Cosima, a Holsteiner mare owned by FEI Junior rider Allie Youngdale. Cosima is much hotter and more sensitive than the gelding she rode on the Saturday, and Becky explained to the audience what she was doing and feeling while Carl put her through her paces. She struggled at first to keep Cosima in a consistent contact and Carl had a unique solution to prevent the mare from coming against the hand - one my own coach Debbie often has me try whenever I'm tempted to get in a pulling battle with Gus. He took away her curb rain and asked her to reverse the snaffle rein so that it comes over the top of the hand and down between the thumb and forefinger - what's called a "driving rein" by some. Rebecca noted she felt an immediate difference and the improvement in the connection and relaxation was clearly visible to the audience. 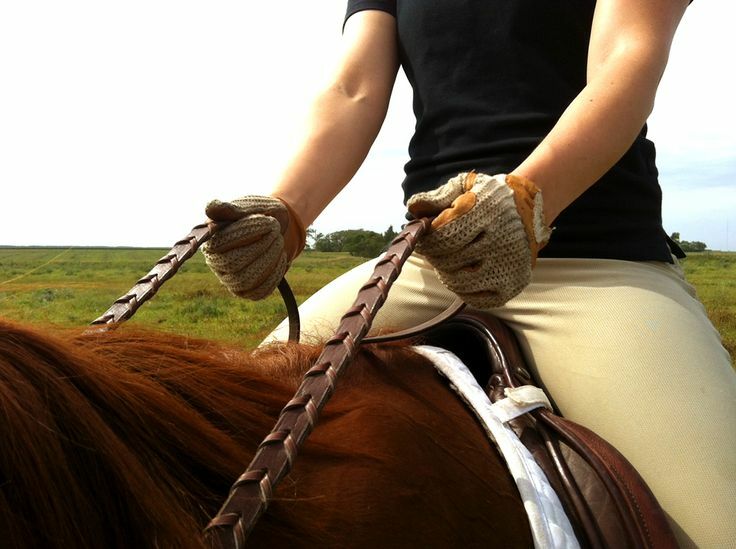 Click here for a photo of how to hold the "driving rein." - To achieve 9s and 10s you have to be willing to take a risk. Ride forward, create more expression and trust your horse. 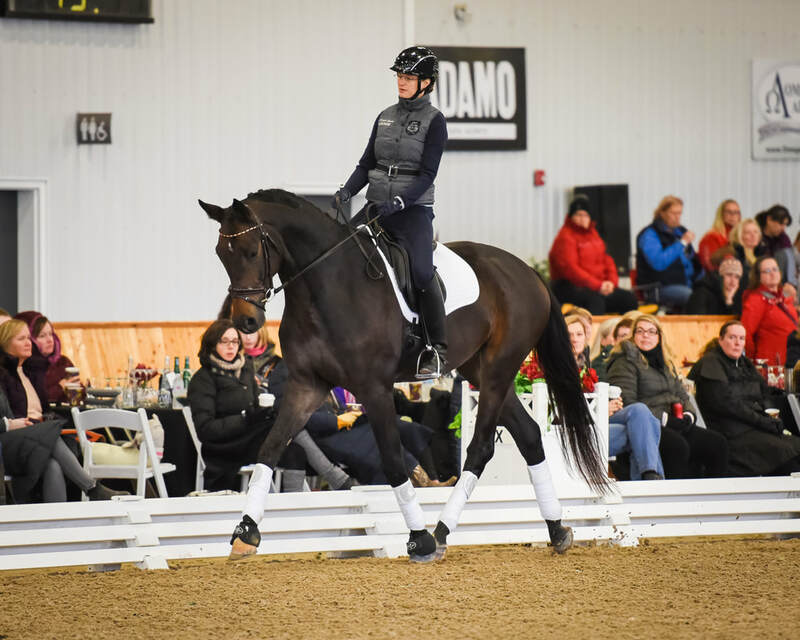 - Exercise to test knowledge and adjustability of your horse's stride - ride the short side of the arena in 8 canter strides, then 10, then 7, then 12. Tom executed each challenge flawlessly. - Same concept using tempi changes on the diagonal, varying the number and the difficulty: 3 changes every four strides, then four 4s, seven 2s, etc. Are they placed evenly on the line? Tom is very disciplined and knows his horse well. He knows precisely where to begin his changes on the line, and how to vary it and lengthen or shorten the stride depending on the count. - Flying change aid comes from the lower leg, not the upper body. Tom is a good example of a rider who keeps his hip down, seat down, and leg down in the change. 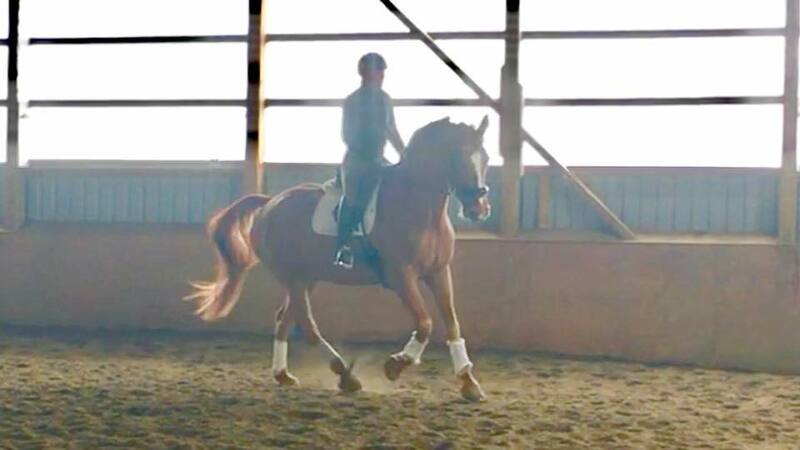 - Passage/trot/passage transitions were repeated until Cyrus was bringing his hind end underneath himself more rather than pushing the hind leg back. Improvement in the trot expression and suspension was significant following this simple exercise. - Super canter on this horse. Quality and expression in the canter is what makes the difference between a 7 and 9 for flying changes. A better canter, like the one in this horse, results in a higher moment of suspension in the change. - Horse has a natural ability to collect but can get slightly behind the leg in collection, pushing up and down rather than out to the hand. 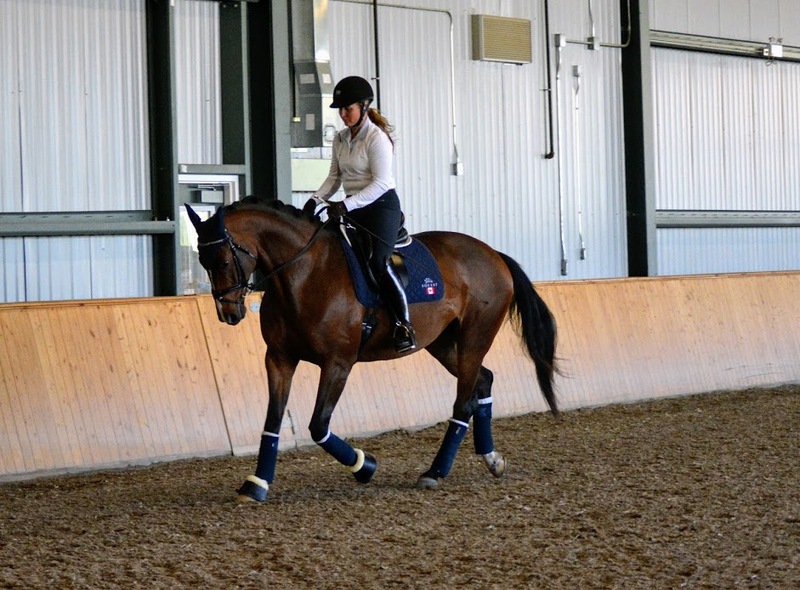 Transitions in and out of medium canter help keep the horse forward to the hand. - Carl likes to teach the canter zig zag to the horse using leg yield, rather than half pass at first. Start with 4 strides in one direction, change, and 4 strides the other way, then work up to 6 strides. - Perform the exercise in a minimum of working canter, don't collect too much. Every movement is created in the corner, don't let the horse slow down and get behind the leg in the corner, this is where you need to go more forward. - It doesn't take an expert to see this horse is an exceptional mover. 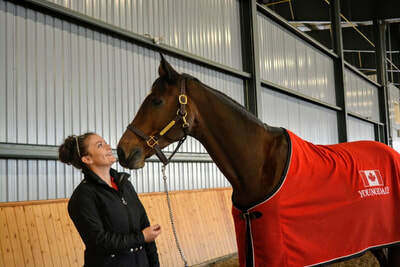 "Presence" is the word Carl Hester used to describe All In, Brittany Fraser-Beaulieu's Grand Prix gelding. It's more than his sheer size (enormous) or the quality of his gaits (breathtaking) but a commanding presence that makes everyone in the room take notice. - Brittany usually works the canter first, then trot, so Carl suggested lots of transitions forward and back in the canter. - Tempting to override such a big powerful horse. Allow the horse to do it himself until he relaxes and starts to sit more and come down with more weight on the hind legs. - In preparation for pirouettes, work on shoulder-in and travers on the 10m circle. - Excellent exercise for more fluid pirouettes that don't lose the forward energy: From the corner half pass to X, pirouette at X, continue across the diagonal in half pass. All In showed some tension and stickiness in the pirouette during this exercise so Carl suggested doing two - first a regular pirouette, followed by a larger working pirouette with the neck relaxed and down. - A good pirouette starts and ends with shoulder-in. A good shoulder-in before you begin is half the battle. - Shoulder-in, pirouette, straight ahead, change lead, shoulder in and pirouette again, all on centre line. Excellent test of straightness and control. - Passage work shows some 8 and 9 quality steps, but could still be be lighter and rounder. - Walks like he's on hot coals - would like to see feet stay on the ground for just a fraction longer with each step. - In piaffe think of very small piaffe steps with the front end to keep the shoulders lifted and the back swinging. - Should be always using invisible moving and closing of fingers to keep the horse soft to the bit, not taking over or getting strong. - With a light, small rider and such a big horse it's the bending that will keep him soft and ridable. - Stretchy trot and a long walk session is crucial after an intense work session like this. - This is a horse that is going to be representing your country. - What is an athletic horse? We're all looking at it. - I'm very jealous. Who wouldn't be? Exciting, lovely horse to finish up our sessions with. I can't stop smiling. That was simply the best weekend ever, and I bet there are 1,200 other people out there who agree! Day 2 of the Carl Hester masterclass was even more spectacular than the first. We are so incredibly lucky to have a facility like the Caledon Equestrian Park, and so very fortunate that Craig Collins and his team put in the effort required to host a world-class event like this for Canadian dressage riders and fans. I have hundreds of behind the scenes photos to go through and many tidbits to share from Carl in the days to come. But for tonight, before I collapse in an exhausted heap, here's a little recap of each session today. - At this age stick to long lines and big circles, and don't interfere with contact too much. - Have a warmup plan in your head; just going around and around doesn't accomplish anything. Focus on working the topline. - Know when to stop, when enough is enough for your particular horse. Push to the limit, but not past the limit. - In the walk, use your upper body and arms to push the horse's head and neck away from the body. Think of a rowing motion. - Use light touches with whip to encourage horse to push from hind end. - Thrilled to see a rider who bothers to train the basics, this after Jane produced three flawless halts in a row. - Lovely horse, so trainable and willing to be helped. "I might steal him," said Carl. This pair got the benefit of sharing their sessions in order to ride both days with Carl and it was great to see the progression from one day to the next and the beginnings of higher level work such as passage. - Focus on timing of the aid for flying change. If you ask once horse is already up, it's too late. Ask when he is about to come up. - Carl noticed changed to the right weren't quite as straight. do changes along the wall to help horse stay straight. - Lovely, elegant rider, Carl says as the daughter of Cindy and Neil Ishoy, she was "bred to have good hands." - Tendency for this horse to keep neck too high and a bit back, must always work on neck long and reaching out to the hand. Improvement in Emmett's already lovely gaits was immediately noticeable when the neck softened and lengthened slightly. - Talent for passage is clearly there, this horse finds it easier to start from a jog, then move into passage. Lots more to talk about including another demo ride from Carl's student Rebecca Edwards, a masterful example of how to ride the PSG from Tom Dvorak, and a stunning Grand Prix prospect ridden by Olympian Megan Lane. Last but not least, which Canadian's horse did Carl say was "better than several of the horses currently ranked the top 10 in the world? So sorry but I've been up at 5am three days in a row, have a mountain of laundry to do, school lunches to pack and kids to tuck into bed, so you'll have to wait until tomorrow to read my thoughts on the rest of Day 2. Stay tuned! 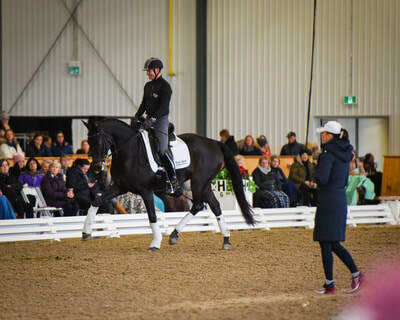 Day 1 of the Carl Hester masterclass is done and dusted and what a day it was! 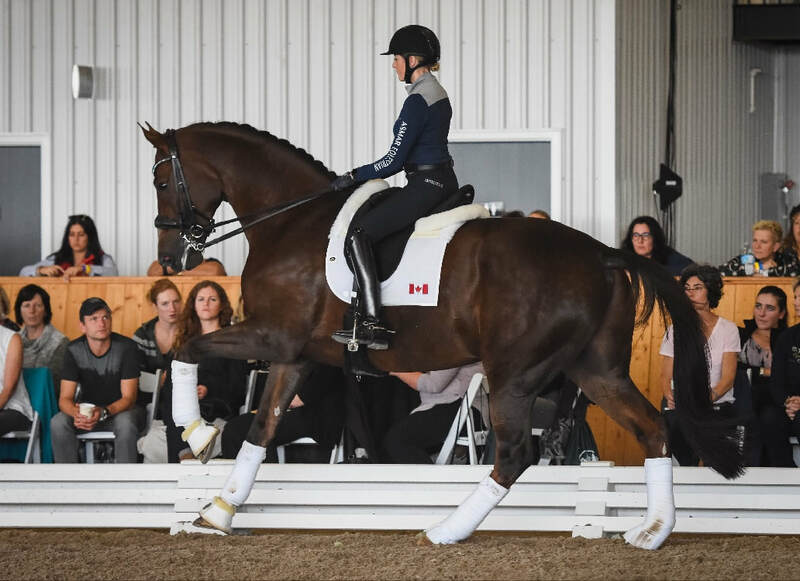 More than 1,200 spectators packed the Caledon Equestrian Park and I can't imagine a single one walked away disappointed. Carl was personable and funny, able to put the riders at ease while honing in on areas needing improvement with a laser focus. Some changes were dramatic, others more subtle, but every single horse and rider demonstrated a noticeable improvement in their way of going with Carl's help. Fair warning: I was working at the clinic in an official capacity, so sometimes work duties took me away from the ring. Though I didn't see every moment of each session, I will recap each one briefly to the best of my ability for the benefit of those who couldn't be there in person. The four-year-olds were originally scheduled to come in together, both to give each other confidence and because Carl feels an intense 45-minute session like this is too much for most horses that age. 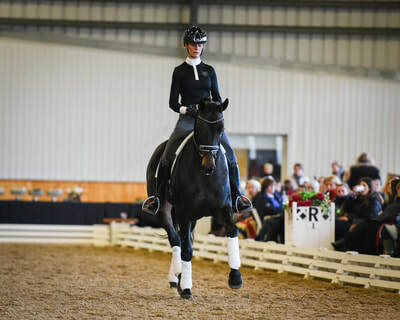 However Erin's horse was understandably overwhelmed by the atmosphere during her practice rides and she opted to take a conservative approach to preserve her young mare's confidence. 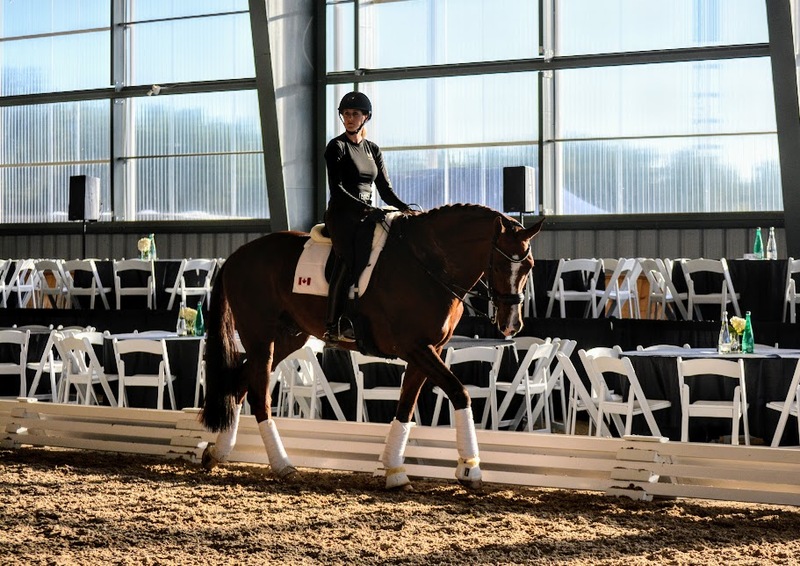 After allowing Andrea and Ismeaux time to work with Carl alone, Erin, who came with her horse from New Brunswick for the clinic, had some relaxed walk time and a little trot around the ring. With a positive experience in the ring for the horse today, here's hoping they will be able to do some work with Carl tomorrow. - Young horses have different musculature than more mature horses. Ismeaux not developed yet in front of the withers, so need to ride in a way that encourages him to fill up and lift this area. - Practice asking the young horse to lift and carry the frame for a few strides, then stretch forward and down. Repeat. - In the stretchy trot check whether the area in front of the withers is lifting: in this case it was. - Horse has a lovely natural rhythm in walk, trot, and canter. - Never push him faster than his natural "swing speed," as the horse will fall on the forehand. - Complimented the horse's "easy attitude" but would like to see more reaction to the rider's leg. - Alert the horse first with a cluck, then touch with the heel and the whip to get a reaction from the hind leg. - With enough repetition the horse will learn to react immediately to the leg alone, without the need for cluck or whip. - Alternate sitting and rising trot with young horses. Carl does little sitting work until horse is 6. - Horse must learn to stand immobile and relaxed on no rein. You cannot hold the horse in place in halt. 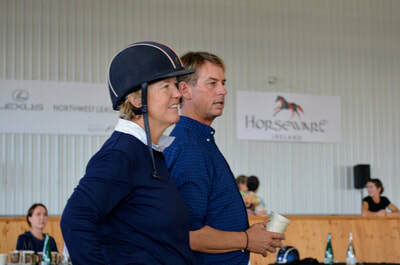 - Carl noticed Cecile's riding idol was listed as Charlotte Dujardin and joked, "I don't think I can help you anymore." Spectators got two for the price of one today as Carl suggested Kahla and Jacqueline ride together both days rather than one today and one tomorrow. Great example of two stunning, talented, yet totally different young horses. 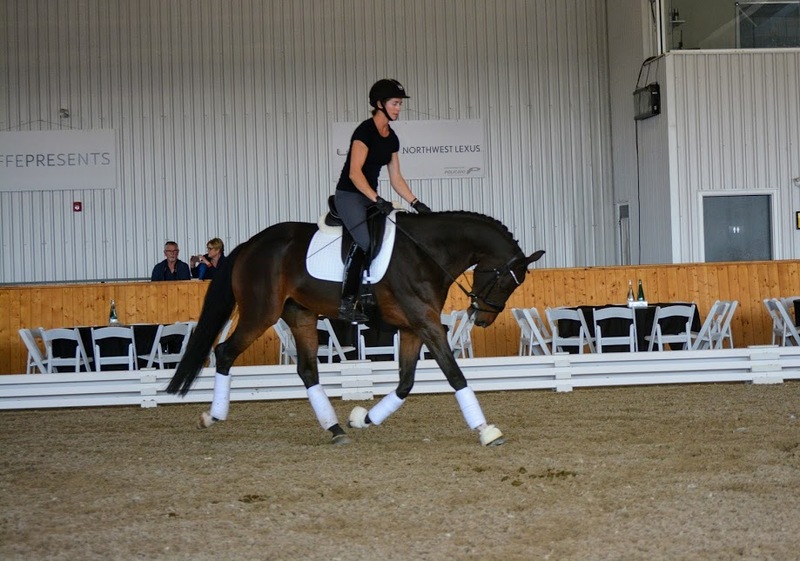 - Perfect the canter to walk transitions, aiming for a 9 or 10 quality. - Let the walk freely move after the transition from canter, stepping more forward until the horse is truly through. - To improve flying changes, motivate the horse's outside hind with your outside leg. - Take the risk, go more forward into the change. Might make a mistake but end result is straighter, bigger, more expressive changes. - Horse "sits" so much naturally, need to encourage him to sit a little less and reach forward. - With such a huge canter stride, Emmett can get heavy, landing on the forehand in the flying change. Use travers and shoulder-in without allowing the horse to slow down. - This horse is an overachiever! Rebecca is an accomplished British young rider, member of their Young Rider team at the 2017 European Championship Under 25s Star the Future Award.Ses She trains with Carl and he commented that she has a similar background and shares other similarities with Charlotte Dujardin. For this clinic, Carl thought it would be interesting for the audience to see Backy ride an unfamiliar horse, and one who is not her usual type. 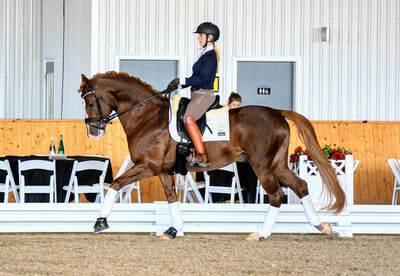 Canadian FEI junior rider Allison Youngdale provided her lovely gelding Ramiro for the demo. Carl led Becky through several exercises while she provided commentary regarding what she was feeling, thinking, and doing to learn how to get the best out of an unfamiliar horse. Super riding from a clearly talented rising star. - In a hot horse the tension can sometimes enhance the expression of the gaits or, as in Fleur's case, make them a bit tight. - Use shoulder-in on a circle to improve relaxation, pushes horse away from inside leg and horse becomes more settled on the bit. - Want to improve pirouettes? Horse first needs to be able to canter on the spot. - "On the spot" means still having impulsion and self carriage, but at a speed someone could walk alongside the cantering horse. - Work forward and back within the canter, taking the lift created in the collected canter with you into the more forward canter. - Pirouettes were well executed but need to show more suppleness and bend. - Used forward and back exercise also to improve flying changes: 4 strides of forward canter, flying change into very collected canter almost on the spot. - Do not neglect halts - have to perform them at the start of every test. - Not using corners well, makes the ring 18x60 instead of 20x60. - In trot first, then canter, go straight down the wall towards the corner and halt before the turn. Turn on forehand to change direction and repeat. - Use centre line and long diagonals rather than the perimeter of the ring for shoulder-in in canter, followed by flying change at the end. - Practicing away from the wall tests the straightness and ensures the horse is really through. - Don't let the horse get too quick. Come out of passage slowly into a passage-y trot before on to collected trot. - Great demonstration of how we as riders can improve the trot. Can be a bit quick and flat but use the collection to develop more suspension and swing and the trot is much more spectacular. - In piaffe and in transitions from piaffe to passage, focus on keeping horse light. Tomorrow we do it all over again with several new riders to watch, including Jane Fraser who travelled with her horse all the way from Nova Scotia, Tom Dvorak, Tina Irwin, Megan Lane and Brittany Fraser. Time for me to put down the laptop and go to bed! Check out our Instagram and Facebook feeds for some behind the scenes pictures from today. On Monday I will post a full gallery of photos from all three days. If you're at the clinic tomorrow, wave and say hi! If you can't attend, then check back tomorrow night for the rundown on Day 2.